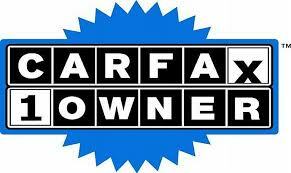 CARFAX 1-Owner, Very Nice. FUEL EFFICIENT 30 MPG Hwy/23 MPG City!, PRICED TO MOVE $300 below NADA Retail! Heated Seats, iPod/MP3 Input CLICK ME! Heated Driver Seat, Back-Up Camera, Satellite Radio, iPod/MP3 Input, CD Player. WHEELS: 17" SPARKLE SILVER-PAINTED ALUMINUM (STD). Ford SE with Magnetic Metallic exterior and Medium Light Stone interior features a 4 Cylinder Engine with 179 HP at 6000 RPM*. This Escape is priced $300 below NADA Retail. Approx. Original Base Sticker Price: $25,700*.
" I had a very good experience. Excellent customer service. Knowledgeable, clearly spoken, helpful and will go above and beyond to get you into a vehicle. " " I had an excellent experience with David and Tommy they really went out of their way to help me . I would recommend them to anyone I know. and David even helped me clean out my old car.S I will be more than happy with their service because their like friends or brothers. "